Two rows of glittering cubic zirconia cross over a shining sterling silver band to create this elegant sparkling ring. Perfect to wear on any occasion. Elegant silver jewellery adorned with glittering cubic zirconia. 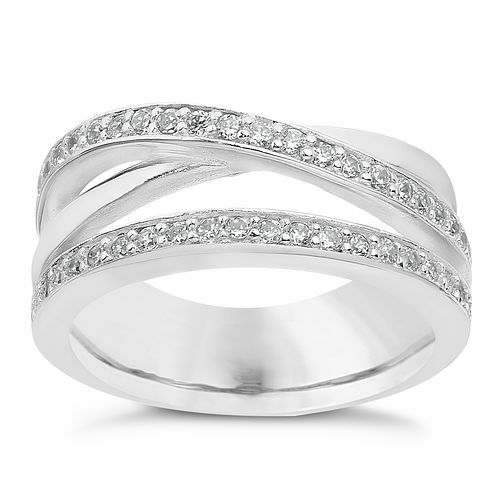 Silver cubic zirconia three row crossover ring is rated 5.0 out of 5 by 1. Rated 5 out of 5 by Anonymous from A beautiful ring. A beautiful ring that looks amazing on. Given the width of the ring I did have to go up a ring size. Great value for money.